Stephen is a former Google PM and avid participant in the mental health tech space. Stephen has previously served as a volunteer hotline counselor at the San Francisco Suicide Prevention. He blogs frequently on his personal website, and is a product management coach at PM Lesson. Azwad holds high hopes for the future of the mental health technologies space. He sees approachability of mental health in community conversations as a primary barrier, and is excited to be a part of Hack Mental Health's efforts in breaking down that barrier while growing the community. He's a devout believer in cross-disciplinary problem-solving efforts, inspired largely by the teams he's worked with while studying Biomedical Engineering and Robotics at Johns Hopkins University. He hopes to foster great ideas with the HMH community by encouraging and facilitating the collaboration of individuals from all walks of life. Vinith Johnson completed his undergraduate degree in electronics engineering in India. His interests in learning more about the human mind led him to pursue a career in neuroscience. He currently works as a Research Associate at Neuroscape, UCSF, a cognitive neuroscience center which creates interactive experiences to harness brain plasticity. Outside of neuroscience, Vinith is an avid mental health advocate. He loves making music and also likes to travel whenever he gets a chance. Anne works in Biz Ops & Strategy at SquareTrade and has a background in management consulting from Deloitte Consulting. She serves as a helpline volunteer for the National Alliance on Mental Illness SF and enjoys helping the Greater Good Science Center host community events. Anne is passionate about positive psychology and as a certified yoga teacher, she has found the mind-body connection to be an integral part of mental and emotional wellbeing. She currently works part-time at Ritual Hot Yoga on the weekends. Anne holds B.A. in Psychology and Economics from UC Berkeley. 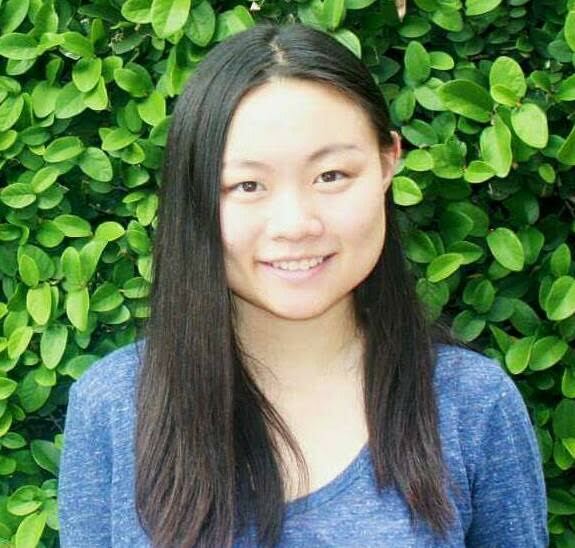 Zhifan Li is a software engineer at Intuit, working on delivering awesome features for small business. She graduated from Rice University majoring in computer science and psychology. She is passionate about cross-disciplinary efforts that deliver social impact. While she is not delivering and iterating on mini-prototypes in hackathons, she enjoys meditating, running and hiking to declutter her mind. Min Shan Lin works as a product marketing and relationship manager at BlackRock supporting BlackRock's technology platform, Aladdin. She is passionate about the ability to use technology to improve the landscape of mental health, and is a big believer in acceptance commitment therapy. Min Shan holds a degree in Economics from USC. Sandra describes herself as “former science nerd turned UX designer with a solid research foundation.” Having spent years in healthcare as a pre-med student, she is passionate about leveraging design thinking to efficiently and creatively ideate solutions for both mental health and public health issues. She is excited about being a part of HackMentalHealth team and wrote about her experience from the first Hack Mental Health here. Sandra enjoys going on adventures around the world, contributing to social impact, and learning about different cultures and ideas. Lauren is a product designer and researcher who currently works in emerging healthcare technology designing the user experience of surgical robotics. She has a background in design and innovation consulting where she developed products, visions, and strategies for various client industries including consumer electronics, smart home, and consumer packaged goods. Lauren believes in technology's potential for good and is an advocate for tech ethics, diversity, and community resilience. seeing clients she is a co-founder of an App called Support Circles that brings professionally led support groups to Veterans. Anthony is in his second year at Yale College studying computer science and psychology, applying his learning towards improving mental health through technology. He seeks to expand mental health conversation on college campuses, and through HackMentalHealth, provide a platform for students to actively participate in creating solutions. Outside of HackMentalHealth, Anthony served as a team lead for Yale Computer Society, a New Haven community mentor through Code Haven, and a psychology research intern at Yale Child Study Center. To unwind, Anthony enjoys playing basketball, writing stand up, and cooking. Alex is a current medical student at Yale School of Medicine. Alex edits HackMentalHealth's Medium Publication and coordinates partnerships with academic and medical professionals in the mental health + technology space. She is also leading a project to develop a Code of Ethics for mental health apps. Paola Téllez is passionate about mental health and emotional wellbeing. Her main drive is to foster a more positive perception of mental health and encourage people to actively take care of their mental health. That is the mission of Impact Minds, the project she is currently leading. Social psychologist, researcher and entrepreneur. Her diverse background has led her to work as Event Coordinator and Community Manager at Impact Hub (Madrid), Research Collaborator in the Dweck-Walton Lab at Stanford and Community Manager at Startup Embassy (Palo Alto), among others. She will be responsible for meeting everyone in HMH Community and bring more new and interesting people to this amazing community. Namisha is a Global Product Manager at HP and graduated from the University of Utah with a dual degree in Honors Marketing and Psychology. She believes that a healthy mind leads to a healthy body and life and mental health care should be just as easily accessible. Namisha is excited about being part of Hack Mental Health to help create a supportive community to foster metal health tech growth. In her spare time, Namisha is a part-time fitness instructor, dancer, and choreographer, and loves to travel, eat good food, and read. Britt is a UX & Strategy Lead at Whipsaw, a design consulting firm based in San Francisco and San Jose. She spends most of time oiling the product development machine so people from all disciplines (engineering, design, business, marketing) can work together to build solid and user friendly products. At Whipsaw she mainly focuses on medical products and is excited to figure out how innovation, creativity, and technology can improve mental health. She hopes to help streamline operations and communications in Hack Mental Health to develop a strong community concentrated on innovation in a space that desperately needs it! Britt holds a BS in Science, Technology, and Society (essentially human centered design) from Stanford University. Charlene works in Operations at Modern Health: a small, female-founded startup of neuroscientists and healthcare experts with a mission of changing how society thinks about seeking help for mental health. She also volunteers as a Coach at MindRight, a tech nonprofit empowering youth of color to heal from trauma through personalized and live text messaging. In general, she is passionate about all things relating to how technology can democratize and reduce stigma against mental health. She is thrilled and honored to join HMH community to collaborate with other individuals dedicated towards achieving these shared goals. Shivani is a Psychiatrist from London. After graduating from the University of Oxford she completed her Core Psychiatry Training at the South London and Maudsley NHS Trust. 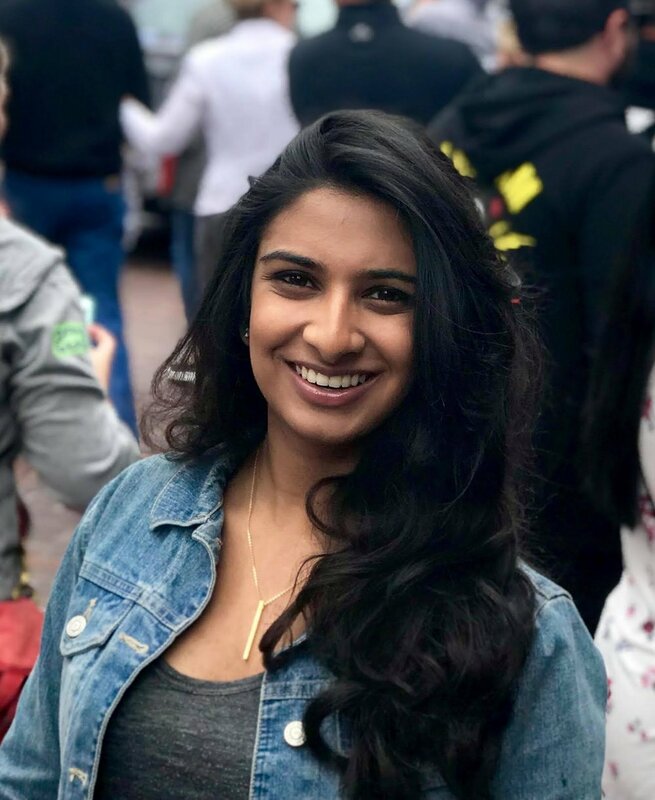 Shivani’s keen interest in digital mental health led her to be an invited speaker at the KCL National Student Conference as well as being a panellist at the Digital Innovation in Mental Health Conference in 2018. She is a passionate advocate for patient-centred digital mental health solutions. Nick is a software engineer on the Application Platform team at Optimizely. He graduated from the University at Buffalo with a B.Sc. in Computer Science; while there, he started UB Hacking, the university's annual student-run hackathon. Seeing a psychologist was life-changing for him and now better understands the positive impact of keeping the mind healthy; as a technologist and optimist, he's excited to bridge the gap between mental health care professionals and programmers. Edith Borrebach is the Director of Community Engagement for the National Alliance on Mental Illness, San Francisco where she champions underserved communities in gaining access to culturally competent mental health care. She is dedicated to building thriving, empowered and interconnected volunteer communities that provide meaningful support to courageous endeavors. 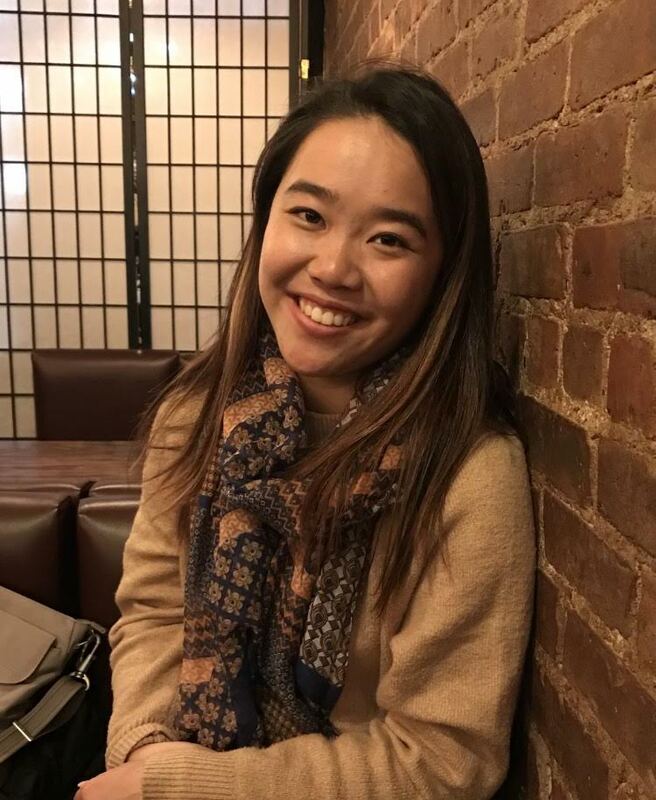 As a Bay Area native, Edith is particularly interested in fostering collaborations with the tech sector toward destigmatizing mental health conditions and increasing access to mental health care. In her spare time, Edith volunteers as a birth and postpartum doula, and enjoys hiking and kayaking her way through Northern California with her wife. Alexa is the founder of Orchid and the Mental Health Pop Up. After feeling frustrated that there wasn’t a modern ‘gym’ for mental wellness she started working on making it easier for people to take care of their mental health in the physical world via trial therapy sessions, group workshops, and quiet space. Prior to Orchid, Alexa spent 3 years leading growth and web products at Keen IO. She’s excited to make improving your mind as common, accessible, and modern as taking care of your physical health. Pragya is working as Software Engineer at Google. She graduated from Mount Holyoke College, a liberal arts institution in western Massachusetts. Prior to Google, she has done research in autonomous robotics and multi-robot formations. She is passionate about technology, diversity, philosophy and mindfulness. Clare translates clinical science into engaging and innovative digital products. Currently she works in Clinical Innovation and Research at Lantern, a San Francisco-based digital mental health company. Clare completed her doctoral degree in clinical psychology at the PGSP-Stanford Consortium. Her dissertation research at the Stanford Virtual Human Interaction Lab used virtual reality to develop a new way to measure the risk of eating disorder onset among college women. She is the founder of a professional organization bridging the gap between academia and technology, and provides mentorship for early-career clinicians and technologists who want to use technology to solve problems of mental health care delivery. Clare writes about psychology and startups, and presents her research both locally and internationally. Ashwin is the co-founder of Sway Finance, a machine learning startup aimed at automating accounting for small businesses. Previously he's worked in finance, Hollywood and marketing automation. He's passionate about pushing technology to help us with our most complex and pressing problems, especially in the realm of mental health. Josh is a fellow at Pascal Capital and has a background in user research from Google and TripAdvisor. He served as blue dot regional lead at Google and has done research in mental health at Tufts Occupational Therapy School and Harvard Lab for Youth Mental Health. Josh is passionate about emerging technologies (brain computer interface and blockchain technology) and curious about how they could be utilized to help advance the mental health field. 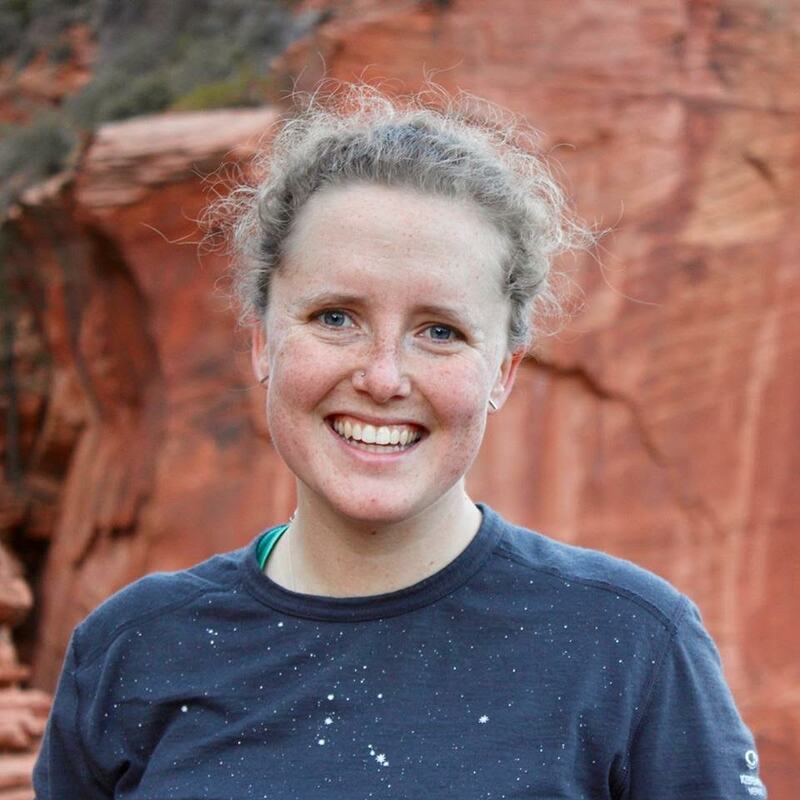 An Australian Psychologist and PhD Candidate, Simone’s research focus is on investigating the experience of psychologists and adolescents using apps in face-to-face therapy. A former Apple employee trained in the technical support of devices and software as well as in the facilitation of individual and group training, she has developed a successful e-learning iPad program at a private second language school. Simone enjoys teaching ethics in undergraduate and postgraduate psychology programs, and is extremely passionate about the integration of new technologies with psychological services, interventions, research and education. Magda completed her B.A. in comparative world literature at CSULB, focusing on 20th century Latin American narratives. During this time, she also worked as an English tutor at a community college, helping students develop reading and writing skills. Magda currently works as a freelance writer and visual artist.